Although it may not seem like it a lot of progress has been made on the ground over the last couple weeks, the behind the scenes progress has been great. Material quantities, permits, purchase orders and multi-agency coordination have all been happening. In addition, the DNR has also retained OHM advisors to complete an assessment on the Lake Linden trail from Dollar Bay to Normand Road. This will begin next week and will provide a broader perspective on the situation for planning purposes. Last Thursday’s rain showed just how fragile the floodplain and drainage is. This one storm set everyone back and also exposed new concerns. The entire drainage pattern has been affected and this is requiring coordination between many agencies. I have been taking many questions as to why we are not filling the washout back in and getting the trail open. I truly wish it were that simple. The DNR trails are just one piece of the puzzle. There are privately owned grades, municipal, county, MDOT and DNR property and infrastructure involved. We are each a part of the drainage pattern. The infrastructure that remains is also taxed and in some cases damaged. All agencies are trying to work collectively and the number one priority will remain the health and safety of your communities. 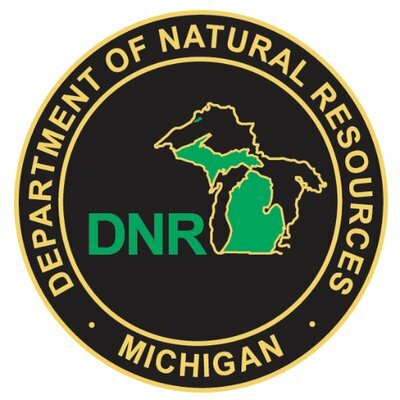 The DNR is combining efforts with the DEQ to look at the stabilization and prevention of future failures first. The trail rebuilding is part of the planning and will come after the existing unstable situations can be addressed. There are a lot of people working tirelessly to address the many situations this event created. Two culverts need to be replaced south of Toivola. We have temporary fill on them and they need to be touched up each rain event. There are two between Obenoff and Old Mill to replace and many to repair. This section is currently closed and impassible . Old Mill to Canal Road is devastated (sorry no better term). We have a crew working on it now and the section will be completely rebuilt. There are 8 culverts to replace, stream reconstruction, bank stabilization and a bank failure to deal with. DNR crews will be repairing this section. The one unknown is the bank failure. The bank failure will have engineering review this week and design after that. This section is currently closed and impassable. The permits are in and all culverts are ordered. There are a total of 12 culverts needed on this trail to replace what was washed out. They range from 3’ to 6’ in diameter. I am confident we will have this trail open by snowmobile season. The bank slump is the largest unknown at this time and we should have a good understanding of the repairs needed in a couple weeks. This trail is open. There are still some culverts to replace and fill work required. This will be addressed as other locations are complete. The inspection and documentation is complete. The repair work required is substantial and this trail will remain closed for this season as we focus efforts on Bill Nicholls and Lake Linden. This is not inferring that we will never open this trail back up. We are just focusing efforts to main route connections at this time. This non-motorized trail will remain closed. Efforts are being directed to ensure protection to the highway and residential infrastructure at this time. Portage Lift Bridge to Dollar Bay was being worked on this week. This trail section should be open soon. I am working with MDOT to address the main concern in this section, which is the main culvert washout north of H&Y Marina. This culvert may not be replaced this year and therefore we will have something set up to loop around the damaged area. The rain on Thursday presented some concerns at this location and we will have to continue monitoring this situation as it rains in the future . Calumet to Normand Road is open and we still have a couple culverts to replace. These are ordered and permits are in. Dollar Bay (1st Street) to Normand Road is heavily damaged. The priority is stabilization at this time. There are three grades involved in this area with both state and private ownership. All this infrastructure must be looked at. Fixing the lower grade (current trail) will not address a failure of one of the upper grades. The ability to access each ravine and culvert is also a major obstacle. Due to these complications, this section of trail will not be repaired by this snowmobile season. The number one focus is stabilization and prevention of future failures before the snow arrives.